NewspaperARCHIVE is the world's best resource for historical and genealogical information. Its unique archive spans more than 400 years of family history, small-town events, world news and more. Universal Class offers the highest quality online courses for those interested in pursuing continuing education and personal development. Choose from over 500 self-paced and instructor-led courses, all on your own schedule! To begin, click here. Car trouble? Access step-by-step repair instructions, wiring diagrams, video tutorials and more via Chilton Library. If you've used Chilton manuals in print format, you'll find the online version more comprehensive and user-friendly. To begin, click here. If you're accessing the site from home, please use your library card number as your password. Visit the International Code Council's "Free Resources" page to access building codes for a variety of locales. The information is free, though the site places some restrictions on searching and printing the information. To begin, click here. The Virginia Uniform Statewide Building Code (USBC) contains the building regulations that must be complied with when constructing a new building, structure, or an addition to an existing building. To begin your research, click here. Find objective expert ratings on a variety of products and services via Consumer Reports Online. This database is designed to be user-friendly, so finding advice on purchases is just a click away. To begin, click here. If you're logging in from home, please use your library card number for access. Think of OverDrive as a "virtual branch" of the library, providing you unparalleled access to eBooks and audiobooks from the comfort of your own home. All you need is a library card and a supported device! To begin, click here. Want a good book to listen to, or a magazine to read? 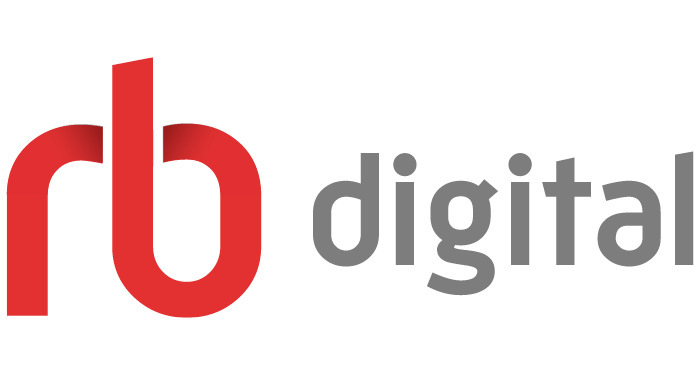 Visit RB Digital, which offers a vast array of downloadable audiobooks and magazines. To begin, click here. Visit eBooks on EBSCOhost to locate eBooks on a variety of subjects. To begin, click here. While in the Library, you can get full Web access to The New York Times. Click here to log into your account. If you are accessing the New York Times site from home or not using the library's network, click here to begin. For help using the mobile New York Times app, click here. Looking for something? Find it Virginia probably has it. You can find magazine and newspaper articles, encyclopedias and other reference works, TV and radio transcripts, company information and investment reports, health and wellness information, and homework help, plus photos, charts, maps, diagrams, and illustrations. MasterFILE Elite provides full text for magazines, periodicals and reference books covering a wide-range of subject areas. This database also provides an Image Collection containing photos, maps and flags. To begin, click here. If you're logging in from home, please use your library card number for access. Reference USA is a database listing over 14 million Businesses, 210 million residential listings, and 855,000 physician and dentists. Look up a college roommate, find a medical office or get information about a business. Updated monthly, so you won't get stuck with out-of-date listings. Salem Health brings online access to Salem Press’ award-winning health reference works. The first reference set included is Salem Press’ best-selling Magill’s Medical Guide. In its printed form, the current edition of the Guide is five volumes and 3,500 pages. Our collection also includes access to Salem Health's titles on cancer, psychology, mental health, genetics and inherited diseases. Senior Navigator is a one-stop online resources for senior citizens in Virginia. This award-winning program combines the Internet with a network of volunteers to bring over 21,000 health and aging resources - both public and private - to seniors, their families and caregivers. Ancestry provides coverage of the United States and the United Kingdom, including census, vital, church, court, and immigration records, as well as records from Canada and other areas. Read more about Ancestry Library Edition. ANCESTRY IS AVAILABLE FOR IN-LIBRARY USE ONLY . FamilySearch is a family history organization dedicated to connecting families across generations. The Shenandoah County Library is one of over 4,000 FamilySearch Centers that provides access to the FamilySearch database of digitized records, family trees, books, and genealogies. This service requires the creation of a free FamilySearch Account. Footnote is now fold3! Keeping its focus on bringing together original historical documents and social networking, fold3 promises a greater emphasis on military records. Read more about the changes here. FOLD3 IS AVAILABLE FOR IN-LIBRARY USE ONLY. The Virginia Newspaper Project is part of United States Newspaper Program, a national effort to locate, describe, inventory, preserve, and provide public access to the United States imprint newspapers housed in the commonwealth. To browse the collection, click here. Access a robust set of reference works via Salem History, including The Encyclopedia of American Immigration, Great Lives from History, Milestone Documents from American History, and the Decades series, which outlines important events and people from the 40s through the 90s. The USGenWeb Project is a volunteer-driven effort to provide free genealogical Web sites for researching information in all 50 states. To access a comprehensive list of sites, click here. 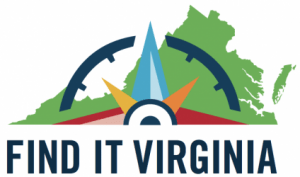 To navigate directly to the Virginia GenWeb site, click here. Information for Shenandoah County in particular may be accessed by clicking here. Finally, if you wish to search Hening's Statutes-at-Large, a collection of the laws of Virginia from 1619, click here. Prices 4 Antiques’ records are routinely used to learn what was paid for a specific item listed in the database, to estimate the value of similar items for sale, purchase, or insurance purposes and to support values in a formal appraisal or in a family division of property. With approximately 1,300 categories and related types, the P4A Antiques database is used by many professional personal property appraisers and is a favored resource at most major auction houses, including Christie’s in New York, while many museums, public libraries and government agencies like the Internal Revenue Service also subscribe. Mango Languages is a one-stop language learning resource. Study and learn over twenty foreign languages with both basic and complete courses. Learn phrases for your next trip abroad, or study for fluency all from any computer with internet access. Use your library barcode for access. Have you ever started a novel only to find it's part of a series, with no idea what to read next? Try eSequels, which provides an easy way to locate books that are part of a series. This database can be searched by author and title, as well as by character, location, and subject. Looking for something to read? Use NoveList to find book reviews, plot summaries and get book recommendations based on your favorite books or authors. Use your library card number to log in from home. Access Critical Surveys of Long Fiction via Salem Literature, and find in-depth coverage of the authors most often assigned in high school and college classrooms. Interested in contacting your political representatives? Click here for up-to-date information for Shenandoah County residents. If you're in need of legal forms for the Commonwealth of Virginia, the LegalForms database is the place to start. Find forms related to divorce and bankruptcy proceedings, wills, real estate transactions, powers of attorney, and much more. The database also includes an Attorney Directory and legal dictionary. To begin, click here. If you're accessing the site from home, please use your library card number as your password. The Virginia Law Portal brings together the legal publications that comprise Virginia Law: the Code of Virginia, Administrative Code and the Commonwealth's Constitution. The newly designed Web site adds Compacts, Charters, Authorities, and Uncodified Acts to the law resources available for searching and navigating. To begin, click here. To locate resources for self-represented litigants, visit the Virginia Judicial System Court Self-Help page by clicking here. Testing & Education Reference Center (TERC) is designed to help students — in high school, graduate school, specialty school and beyond — make their future education decisions easier. TERC is loaded with information on colleges, technical schools, practice entrance exams, and certification and professional license exams that show students what to expect and how to prepare for — and excel at — the next level. The included Resume Builder and Virtual Career Library make TERC the perfect choice for job seekers by providing specific examples and tips for job searches. To begin, click here. If you're accessing the site from home, please use your library card number as your password.